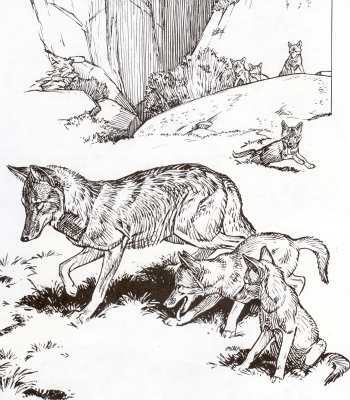 This Coyote of Yosemite page and the mountain lion, mule deer and yosemite bear pages found on this site are all borrowed from "Furry Friends Of Yosemite" a fun and informational activity book for your family. Yosemite's coyotes are wonderful singers...whether in the mountains or in the desert you will hear them filling the air with their distinctive style of music. Their song often starts with a series of short barks followed by a long, soulful howl. Two or three of these furry "singers" can make enough noise to sound like twenty. Naturalists now believe that they are not only calling to each other, but that they howl because of the pure joy that they feel when they sing! Since there are no more wolves in California, they are the largest native dogs. Their tracks look very much like your family dog’s with the toenails showing clearly in the footprint. They like variety in their dens, sometimes digging long tunnels with many branches and rooms. At other times they may enlarge a hole that was made by one of the other digging animals of Yosemite. A cave among the rocks always makes a good home too. A family may have different dens with one for daytime naps, another for a nursery, and yet another one for when the male is home and the female is taking care of the pups. As they grow older, the pups begin to dig little burrows of their own in the sides of the main den. There are usually about six pups in a litter, born around April or May. Their eyes are closed and they are helpless when they are born, but the pups develop quickly. They learn to hunt for themselves at an early age, and by the time they are six months old they are as big as their parents and are out living on their own. Coyotes are the most widely-known carnivores in California, and they eat hundreds of thousands of rodents each year, including ground squirrels, mice, and gophers. But sometimes they develop a taste for chicken or sheep. In an attempt to protect their animals, ranchers work especially hard to keep their pastures free of the ground squirrels and other animals that would attract them to the area in the first place. The coyote of yosemite is a smart and crafty hunter, and two will often hunt together. One will trot out in plain sight to attract the attention of their prey while the second, keeping hidden, sneaks up quietly from behind. They have excellent eyesight, good hearing, and a keen sense of smell…all of these critical for successful hunting. 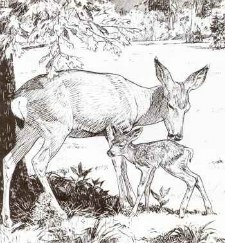 Interestingly, mother mule deer have been known to charge and strike out at them with their hoofs when they have come too close to their fawns. As a general rule a they will not attempt to take down a full grown and healthy deer, they are simply no match. However in groups they have been known to finish off even a deer buck in his prime if he is injured. 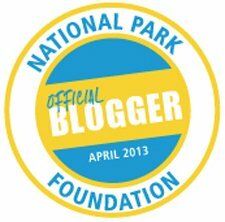 An interesting case in point was recorded by two Yosemite Rangers in Deer Kill! Feast on the Grapevine. In California there are three kinds of coyotes - the mountain, valley, and desert varieties. The mountain coyote is native to the Sierra and the surrounding areas and is one of the more frequently seen animals of Yosemite. Of the three types, mountain coyotes are by far the most beautiful. Living in higher, colder country makes their fur grow thick and long, and the tail gets furrier than with the other varieties. Because they are so much larger than the others they are sometimes mistakenly called "gray wolf" or "timber wolf". Except for man, they have no enemies, but like young yosemite bear cubs, young and curious pups are sometimes injured by the quills of porcupines. 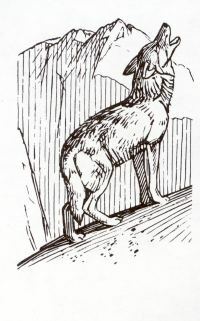 They may often be seen in the Sierra, hunting in mountain meadows or trotting along trails in the forest. If you hear their distinctive howling, stop what you are doing and listen…and share in their joy! 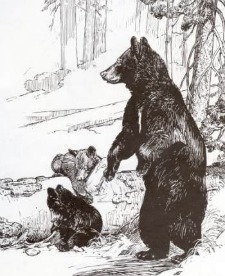 Bill Berry was one of the premier wildlife artists of his time. His use of the pen and ink medium captured his subjects with a life-like realism rarely seen today. This beautiful set of high quality prints, capture four of the larger mammals of the Sierra. Three of these, the Mountain Coyote, Mule Deer and Black Bear are quite commonly seen. 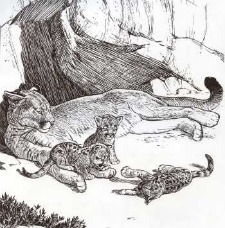 The fourth, the Mountain Lion, almost never. Each print is 11 x 14 in size and printed on heavy stock. Beautiful framed! Place your cursor over the image below and then follow the link to get your set today! (Perfect for babies room). 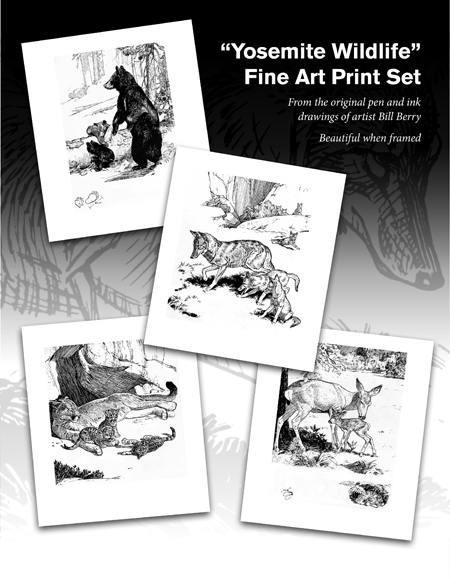 Click here to get your Yosemite Animal Prints today! My Furry "Brothers And Sisters"
“As night began to descend on Yosemite Valley and the inky skies revealed so many stars that it resembled sprinklings of sugar, my brothers and sisters rejoiced...giving thanks for the beginning of another night. In a meadow near the school yard was a hollow of soft thick grasses where I would lie and await them. And they always came! First I heard the sound of yipping and an answer would soon follow, behind me then in front of me. Their soulful but joyous chorus began. I felt a special bond to my birthplace, and especially to the animals. Being been born in Yosemite, I was as much a part of this place as any other plant or animal that was living here. The feelings was mutual, and I was accepted by them genuinely. I had been born into an exclusive 'Yosemite family', and we all shared a wonderful bond in common! Their songs would vary as they each bared their Souls, and I could sense the feeling behind the message...What I would have given to have been able to comprehend it fully! I would imitate the songs as I heard them, and their voices would grow louder as they moved closer in. If the moon was full and the valley bathed in its' light, I could often see their gray figures moving around me, pinpointed only by their continuing songs. 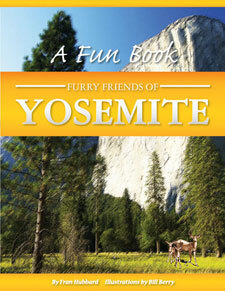 To return to the Home Page from Coyote of Yosemite please click here.